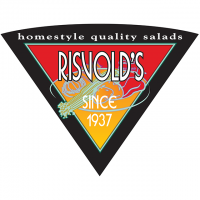 In 1937, Risvold’s began its history, by specializing in the production of Homestyle Salads, handmade daily with only the finest ingredients. The popularity and reputation of Risvold’s label grew at a steady rate, supporting the decisions for automation and plant relocation to a larger facility in 1973. Today, Risvold’s products are distributed in the Western states by several full line distribution companies. Risvold’s growth has been sparked by the development of new products and private label programs for regional accounts. Risvold’s believes its customers and employees are its most valuable resources for continued success. We at Risvold’s are proud of our performance over the last 75 years and look forward to maintaining a leadership role into the future.